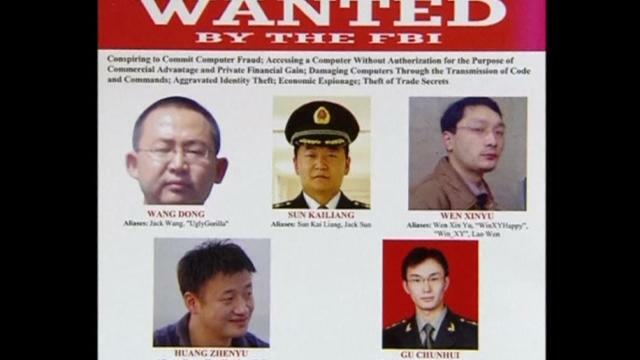 Beijing has denounced the US charges against five Chinese army officers accused of economic cyber-espionage. China says the US is also guilty of spying on other countries, including China, and accuses the US of hypocrisy and “double standards”. US ambassador in Beijing has been summoned over the incident. China says relations will be damaged. US prosecutors say the Chinese officers stole trade secrets and internal documents from five companies and a labor union. China’s defense ministry put out a strongly-worded statement on its website on Tuesday saying that China’s government and its military “had never engaged in any cyber espionage activities”. It also took aim at the US, saying: “For a long time, the US has possessed the technology and essential infrastructure needed to conduct large-scale systematic cyber thefts and surveillance on foreign government leaders, businesses and individuals. This is a fact which the whole world knows. The defense ministry added that China’s military had been the target of many online attacks, and “a fair number” of those had been launched from American IP addresses. It said the arrest of the five Chinese army officers had “severely damaged mutual trust”. According to a Xinhua report on Tuesday, between March and May this year, a total of 1.18 million computers in China were directly controlled by 2,077 machines in the US via Trojan horse or zombie malware. Chinese Assistant Foreign Minister Zheng Zeguang lodged a “solemn representation” with US ambassador Max Baucus on Monday night, Xinhua reported. On Monday US Attorney General Eric Holder said a grand jury had laid hacking charges against the Chinese nationals, the first against “known state actors for infiltrating US commercial targets by cyber means”. Eric Holder identified the alleged victims as Westinghouse Electric, US Steel, Alcoa Inc, Allegheny Technologies, SolarWorld and the US Steelworkers Union. “The alleged hacking appears to have been conducted for no reason other than to advantage state-owned companies and other interests in China, at the expense of businesses here in the United States,” he said. In the indictment brought in the western district of Pennsylvania – the heart of the US steel industry – the US named Wang Dong, Sun Kailiang, Wen Xinyu, Huang Zhenyu, and Gu Chunhui, all officers in Unit 61398 of the Chinese People’s Liberation Army (PLA), as the alleged conspirators. FBI officials said the hacking – between 2006 and 2014 – caused “significant losses” at the companies and that there were likely to be many more victims. Last year, cyber-defense company Mandiant published a report on a Chinese military unit the firm said was behind the vast majority of significant attacks on American federal agencies and companies. In March, Defense Secretary Chuck Hagel said the Pentagon planned to more than triple its cyber-security capabilities in the next few years to defend against such internet attacks.